Undoubtedly my favourite fashion magazine, Elle is the only publication that I religiously sit down and read once a month...I find myself just flicking through the pages of everything else. Of course I do love looking at pages and pages of pretty pictures, but I find the written content in Elle inspiring and something which I can relate to so I really feel like I get my £3.90s worth! 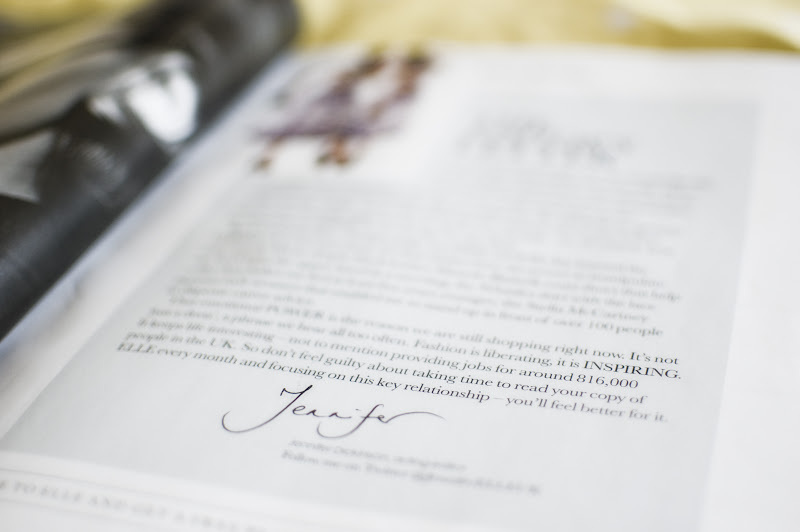 I found this months editor's letter, written by acting editor Jennifer Dickinson, particularly influential as she explains how and why 'Fashion is liberating' and 'INSPIRING' - I feel as though everything she mentions is 100% true! Clothes do make me feel good! If you haven't purchased it or received a copy in the post already then below is a sneaky peak at what you can expect in Elle's May issue. 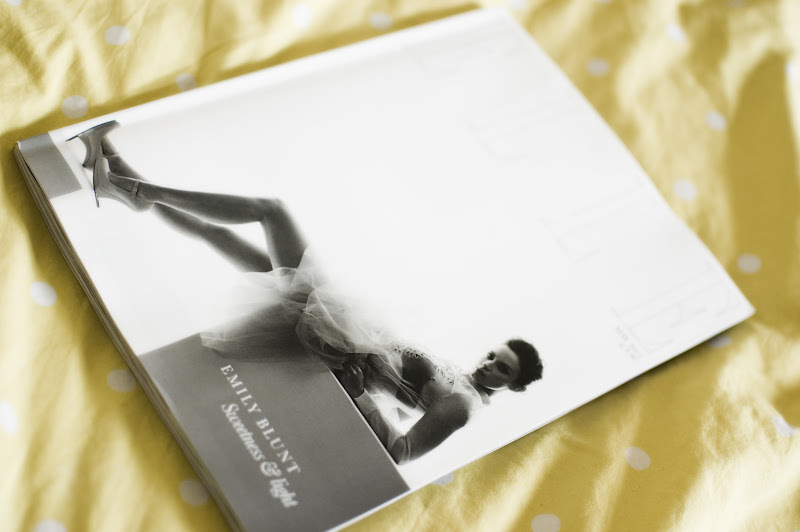 What's your favourite fashion magazine? I do love the clasics like Vogue and Elle but I love Pop magazine, Numero, Schon, Colors, LOve, uff there is so many good ones.. I love Elle!!! I really like the floral long dress in the 4th picture, it is so cute! I really like your blog! I am your newest follower! This is a beautiful editorial and I totally agree - Elle strikes a great balance between stunning visuals and written content.